Cannabidiol is available in Colorado health food stores, but the state’s marijuana laws prevent the cannabis compound from being sold in pharmacies. 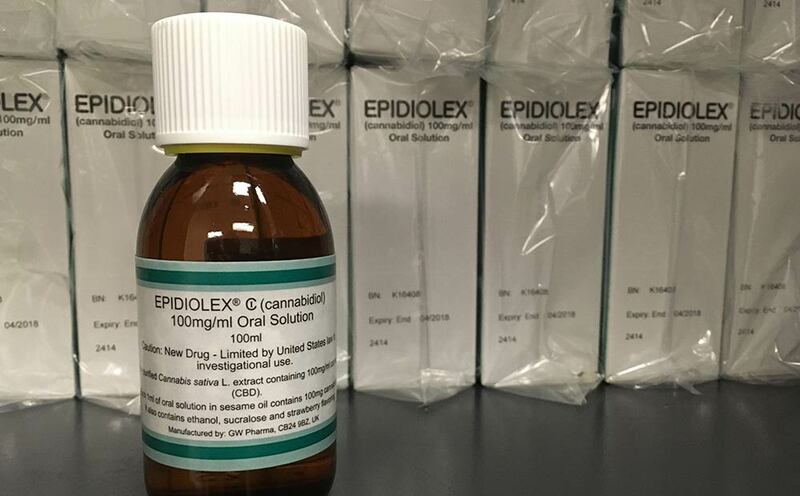 A bill moving through the Statehouse would open the doors for GW Pharmaceuticals’ CBD-centric Epidiolex drug to be prescribed and sold in pharmacies across the state. A House committee passed the “Food and Drug Administration Cannabidiol Drug Use” late Tuesday in a 9-0 vote. The unanimous approval of House Bill 1187 followed three hours of public comments and debate that saw amendments added to address concerns raised by the hemp and marijuana industries. The bill’s backers — Greenwich Biosciences, GW’s U.S. subsidiary — say the provisions would create a legal pathway for doctors to prescribe Epidiolex to patients if the novel cannabis-derived drug is green-lighted by the U.S. Food and Drug Administration. That decision that could be announced as early as June, according to the company. “We in no way intend to limit or affect access to any marijuana, recreational or medical, or any hemp products licensed in Colorado,” GW spokeswoman Jessica Wolfe told the House Public Health Care & Human Services Committee on Tuesday. The London-based company simply wants a lane for its medicine to be prescribed to patients such as children with rare epilepsy disorders, Wolfe said. Members of Colorado’s burgeoning hemp industry said they’re concerned that lawmakers may actually be paving a “superhighway” for a foreign pharmaceutical company to monopolize the CBD market. “Make no mistake, this bill is written as an attempt to control the (CBD) industry,” said Luke Johnson, founder of Cloud CO Farms, an Alamosa-based hemp cultivation, processing and CBD extraction company. Johnson was among members of the Colorado hemp industry at the Statehouse that vocalized concerns and fears at the heart of the broader CBD debate: Does FDA approval of pharmaceutical CBD hand Big Pharma legal control of the cannabis compound and stymie artisanal producers? The 9th U.S. Circuit Court of Appeals could soon have its say in that national debate — a panel of federal judges are expected to issue an opinion in the Hemp Industries Association’s case challenging the U.S. Drug Enforcement Administration’s new rule on marijuana extracts. That case’s resolution and a ruling on Epidiolex will be decided independent of Colorado legislators’ actions, said Garrett O. Graff, an attorney for Denver-based Hoban Law Group, which is representing the hemp industry in the appeals court case. However, Colorado could continue to exercise its 10th Amendment rights with further legislation on cannabis, Graff told the committee. Graff, representatives from cannabis law firm Vicente Sederberg and representatives of the Marijuana Industry Group say hemp and marijuana businesses’ concerns appear to have been addressed in House Bill 1187’s amendments that were developed after weeks of stakeholder meetings. That stakeholder process is expected to continue as the bill progresses through the House.